We didn’t know about these passing of the brothers until a few days ago until we received an email from the family. Howard R. Padgitt was from the class of June 1947. Charles A. Padgitt was from the class of June 1944. Both will be missed dearly. They were brothers. Below is a brief professional biographies provided by the family. 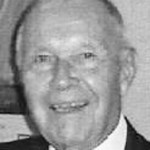 Howard R. Padgitt was born in Chicago in 1930, and received his Bachelor’s degree in Engineering Physics from the University of Illinois in 1951, and his M.S. in Physics from Northwestern University in 1955. He also attended courses in Infrared (M.I.T), Optical Design (U. of Rochester), and Optical Data Processing (U. of Michigan). He was active in optical engineering and lens design between 1951 and 2003. His first professional association was with an infrared division of Raytheon Manufacturing Company, where he was engaged in the optical design of numerous infrared detection and communication systems. He subsequently joined Simpson Optical Company as a lens designer, working in the area of commercial projection and camera lens design. In 1958 he became associated with Cook Electric Company, which at that time was one of the larger Midwestern defense contractors. There he was responsible for the optical design and testing of a variety of satellite payloads, plus infrared and photographic system development programs. Notable among these was his direction of the complete design and testing of the optics for the first Orbiting Astronomical Observatory (OAO), and an ultraviolet spectrograph for the Apollo program. From 1967 onward he was an independent consultant in the fields of optical systems engineering and lens design. His industrial clients included Abbott Labs, Ampex Corporation, Hubbard Scientific Corporation, Kaiser Optical Systems, Eli Lilly and Company, Raytheon Service Company, Zenith Electronics Corporation, and many others. He also consulted for non-profit research organizations including the IIT Research Institute, and the Environmental Research Institute of Michigan. During his consulting career he encountered and solved a wide variety of optical problems. He designed systems for use from the vacuum ultraviolet to the far infrared, and from hundreds of feet beneath the sea to hundreds of miles in orbit. His designs ranged from inexpensive large scale production on the one hand and for high cost, diffraction limited performance on the other. Products employing his designs ranged from automotive dome lights to avionic heads up displays. Recognizing the fact that in-house expertise in optics is often impractical for many organizations to maintain, he specialized in filling the void by providing quick response to short-term, well-defined projects, and averaged as many as fourteen separate work programs each year. He was a member of the Optical Society of America, the Society of Sigma Xi, the Optical Society of Chicago, and the International Oceanographic Foundation. He had been the treasurer, vice president, and president of the Optical Society of Chicago, and had been awarded numerous patents throughout his career. Howard’s obituary can also be found HERE. Charles “Chuck” Arthur Padgitt passed away peacefully on July 24, 2015, at Tucker Hospice House in Kannapolis, N.C. He was born Nov. 24, 1927, in Chicago, Ill., to Charles V. Padgitt and Emma Adeline Klemz Padgitt. Chuck previously lived in Parkersburg, W.Va., and Cocoa Beach, Fla. He was a graduate of Steinmetz High School (Chicago) and the Illinois Institute of Technology. He served his country in World War II as a member of the First Infantry Division (the “Big Red One”) during the German occupation. On Aug. 11, 1951, he married Dorothy Jean Wickwire. He was employed as a chemical engineer by Marbon Chemicals, which was later purchased by Borg-Warner Chemical and ultimately GE Chemicals. Chuck served his community unselfishly in many ways: he was on the Board of Directors at Camden-Clark Memorial Hospital in Parkersburg, W.Va., he was a member of the Citizens on Patrol (“COPS”) program in Cocoa Beach, Fla., and he was a devoted and faithful servant of First Lutheran Church, Parkersburg, W.Va., and The Lutheran Church of the Redeemer, Cocoa Beach, Fla. Chuck and Jean were world travelers, and visited every continent and most individual countries at least once over the years. Charles is survived by his wife, Jean of Charlotte, N.C.; his two sons, James C. Padgitt (Joanne) of Buffalo Grove, Ill., and Steven J. Padgitt ( Stacey) of Irving, Texas; daughter, Janice C. Le Maire (David) of Charlotte, N.C.; four grandchildren, Jennifer Laquerre (Robert) of Ft. Payne, Ala., Nathaniel Le Maire of Fletcher, N.C., Christopher Le Maire of Charlotte, N.C., and Kathryn Padgitt of Buffalo Grove, Ill.; three great grandchildren, Davin, Beckett and Emerie Laquerre of Ft. Payne, Ala.; a brother, Kenneth W. Padgitt (Arlene) of Northbrook, Ill.; and five nieces and two nephews. He was preceded in death by his parents, Charles and Emma Padgitt; and brother, Howard Padgitt. A special thank you to Dr. Douglas Brooks of Doctors Making House Calls and The Laurels in Highland Creek. Also thank you to Carolina Cremation for all the arrangements. A reception to honor his life will be held in Charlotte, N.C., on Aug. 15, 2015, details to be available. Memorials may be made to the American Cancer Society (P.O.Box 22718, Oklahoma City, OK 73123-1718) or Hospice and Palliative Care of Cabarrus County (5003 Hospice Lane, Kannapolis, NC 28081). 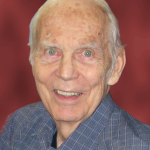 You can view Charles’s Obituary HERE.